The Pacon Fadeless Paper Design Roll is an ultra fade-resistant bulletin board paper with over 50 years of experience in the industry. Bold vibrant colors and acid-free qualities help Fadeless last for long periods of time on bulletin boards. Fadeless Paper's durable construction also makes it ideal for a variety of arts & crafts projects with the strength for folding and cutting cleanly. 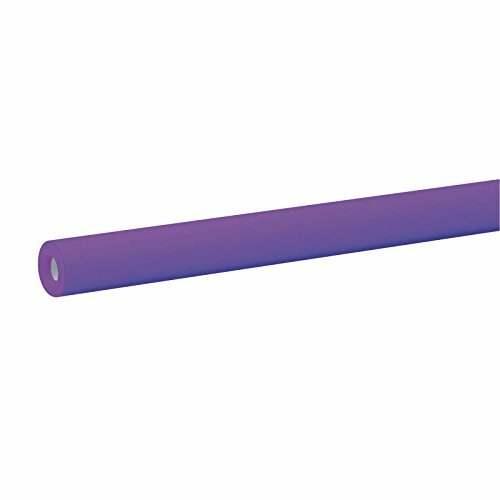 This roll measures 48-inches by 50-feet and comes in the Deep Purple print. Pacon offers the most dynamic range of products under the sun. From construction paper to activity books and more, these products will bring out the creative side in anyone. With Pacon, let your imagination shine.